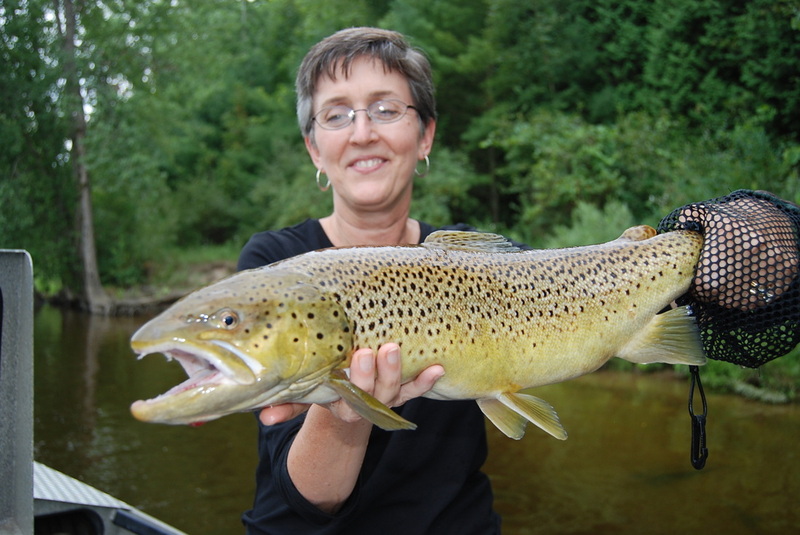 Au Sable River Trout Fishing – Hex fishing has been outstanding with hot and humid nights. 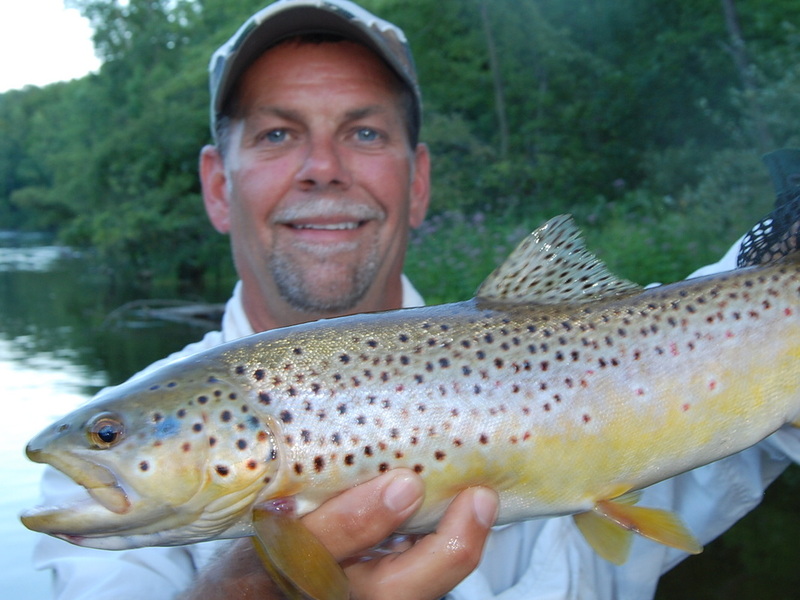 Dry fly fishing remains very good for trophy browns and rainbow trout. Prolific emergences of caddis almost every evening has made for great excellent fly fishing. 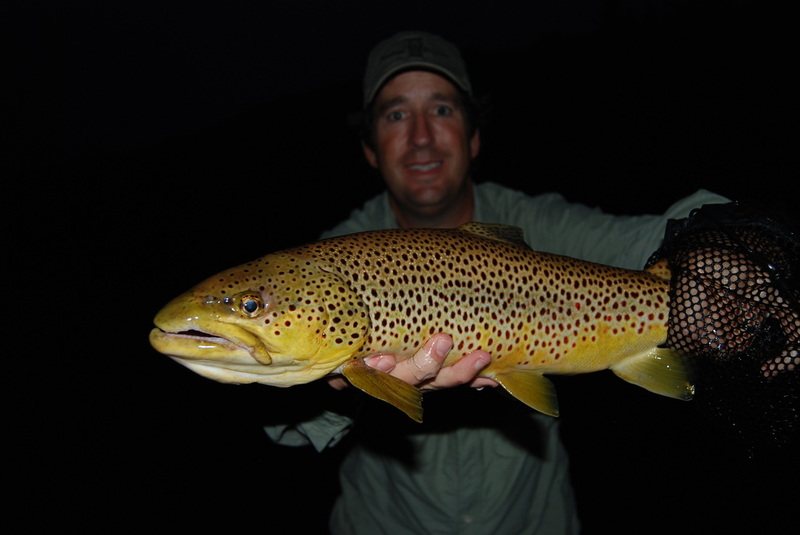 We offer evening “hatch master” evening fly fishing trips for five hours in the afternoon – evening hours. 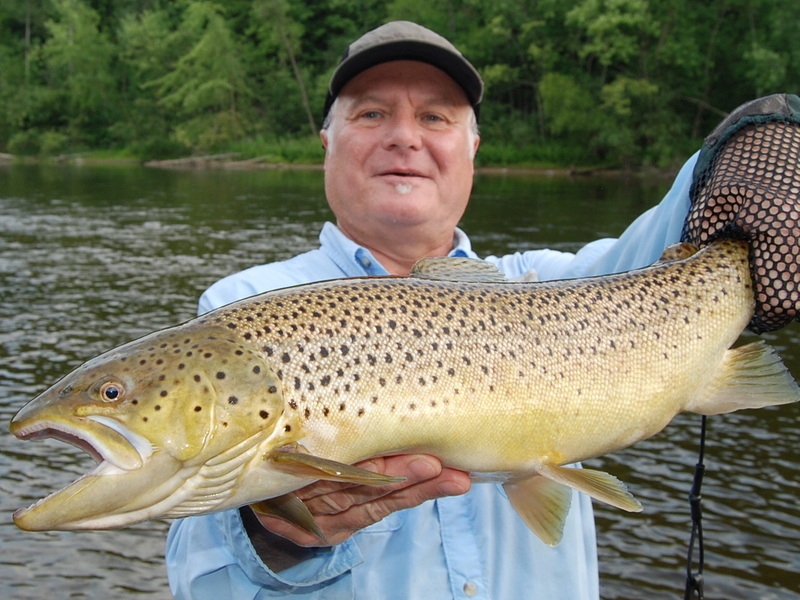 We’ve experienced some outstanding trout fishing on the Au Sable River for both brown trout, and rainbows! 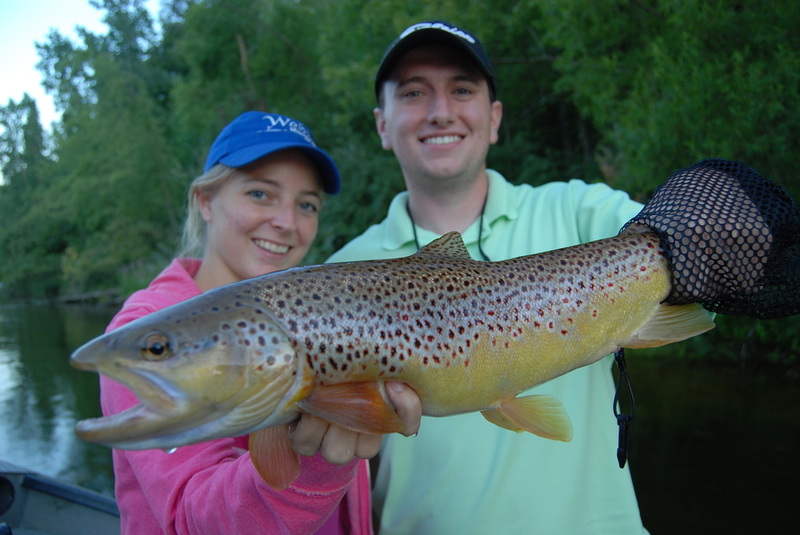 Streamer fishing with sink-tip fly line has been our most productive method of lately. Stripping large goudy streamers has pulled some big boys out from the log jams. Free style nymphing has also been producing many nice trout. Fishing deeper pockets behind the gravel has made for some successful anglers, happy to have caught many nice browns on the Au Sable River below Mio to Cummings flats. Fishing with steelhead – salmon fry patterns has also produced many nice trout. Fishing fry patterns tight against the bank has been the key. Salmon fry always hide close to the river banks in the shade, making for east prey for big trout. 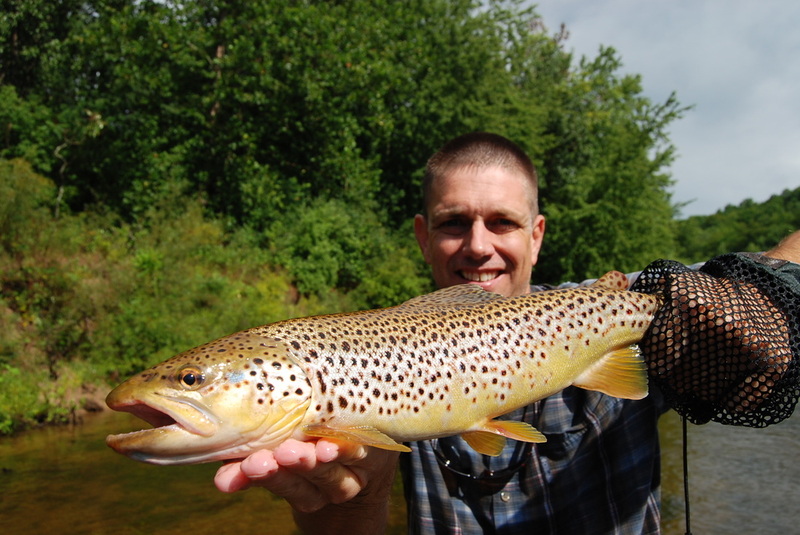 The AuSable River hosts one of the finest trout fisheries in Michigan. 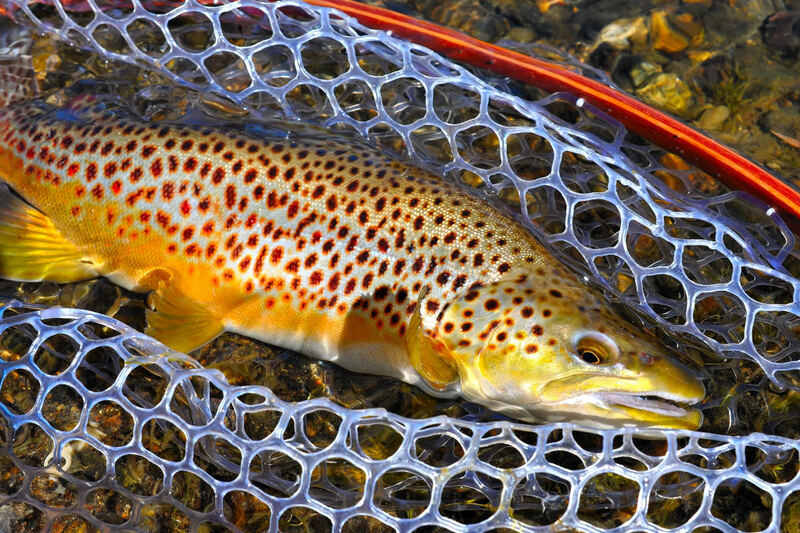 Prolific hatches make for some of the most amazing dry fly fishing in the nation and is home to the famed “Hex” hatch. The AuSable’s productive water is made of great riffles, vast gravel bars, and deep holding waters perfect for resident brown trout. 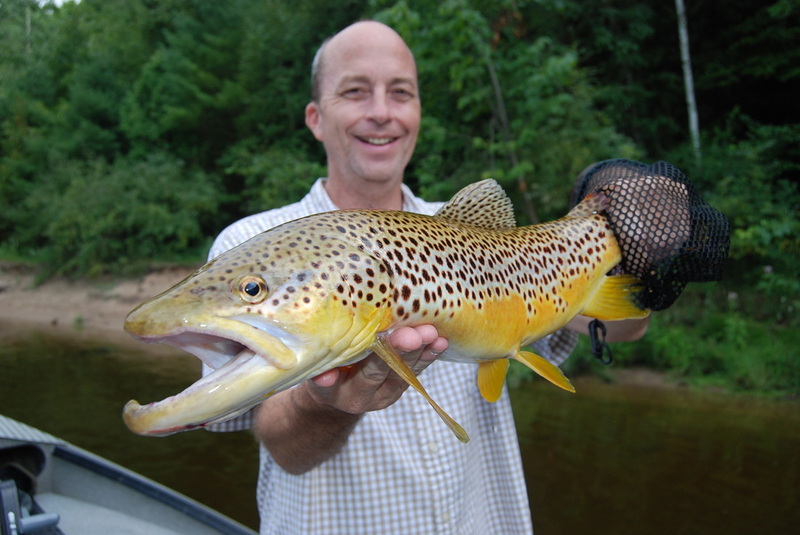 It is a large and diverse river a tremendous aquatic insect and bait fish populations. 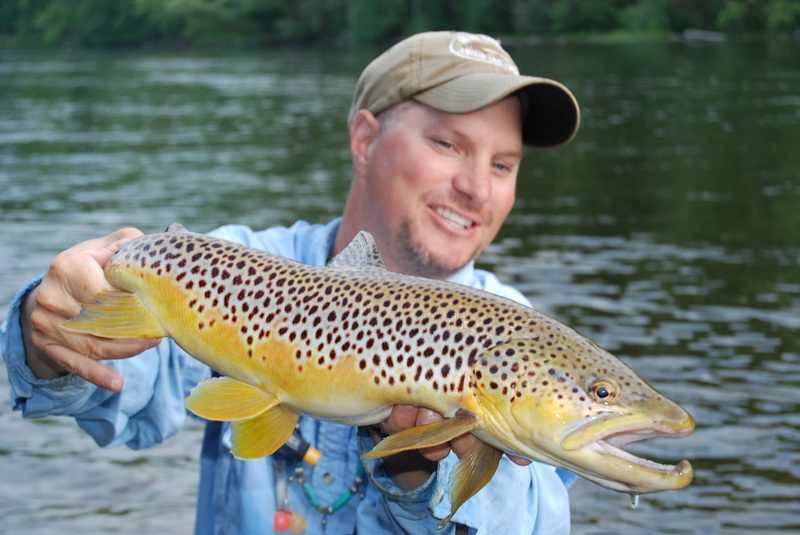 Prolific hatches, large numbers of trout, and trophy quality trout, make this river a famous place. Special regulations have been placed in many areas along the AuSable River system. Why else would a name such as “The Holy Water” is placed on such a river? Trophy Michigan Browns! The AuSable flows for over 100 miles before meeting Lake Huron. Detroit fly fishing anglers enjoy the close proximity of this river. 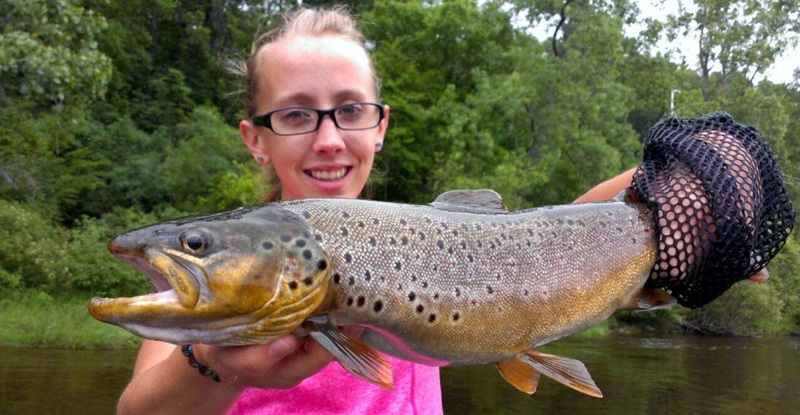 It’s only a short drive north for fantastic trout fishing. 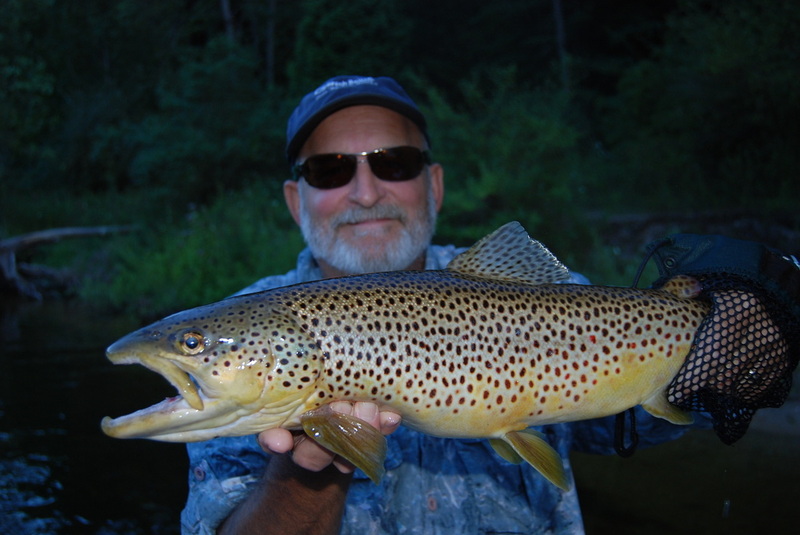 Fly Fishing guides also love this river, it’s an easy, comfortable float trip that offers incredible streamer action from a drift boat for trophy brown trout. Large streamer flies are king on this watershed. The AuSable turns east and flows into Lake Huron. The AuSable turns east and gathers the flow of the East Branch near the town of Grayling. A few miles east of Grayling, the river flows past Burton’s Landing, which is the start of the fly fishing only, catch-and-release section also known as the “Holy Water.” Downstream to Wakeley Bridge. Within this stretch, the river consists mainly of sand and gravel. Beautiful Brook trout filled pools, runs, and riffles litter this section. Many angling hours have been spent making this a wade fisherman’s dream! This is a very productive and also popular area due to the special regulations (catch & release) put upon it and from the diversity and shear beauty of the water. This special eight miles of river is not called “Holy Water” for nothing.